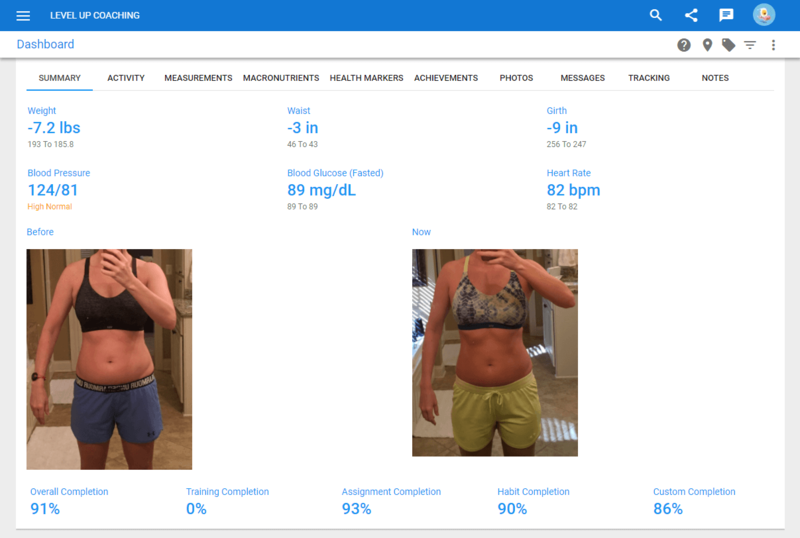 Coachific offers the most significant features, and integrations out there from all the online personal trainer software that we have reviewed, but also requires much patience. On the first hand, it looks a lot like ProCoach, but after a few minutes, you will realize all the differences, good and bad. Check out the rundown below for our quick review, or scroll down for our complete Coachific review; including features, ease of use, integrations, pricing and client management. Coachific shines in its features, by offering many useful things to get you started. Programs – in this section you will find done-for-you templates of the typical habits or lessons that you can combine in your coaching programs. Almost every template lasts for seven days, so you won’t have that many lessons if you are running a 14-day habit structure. Besides that, Coachific offers many intake and questionnaire forms like, client information, initial performance, recovery, waivers, and release of liability docs that your clients can quickly fill in online. There is an option to make your own programs, but you will have to spend some time setting everything up. 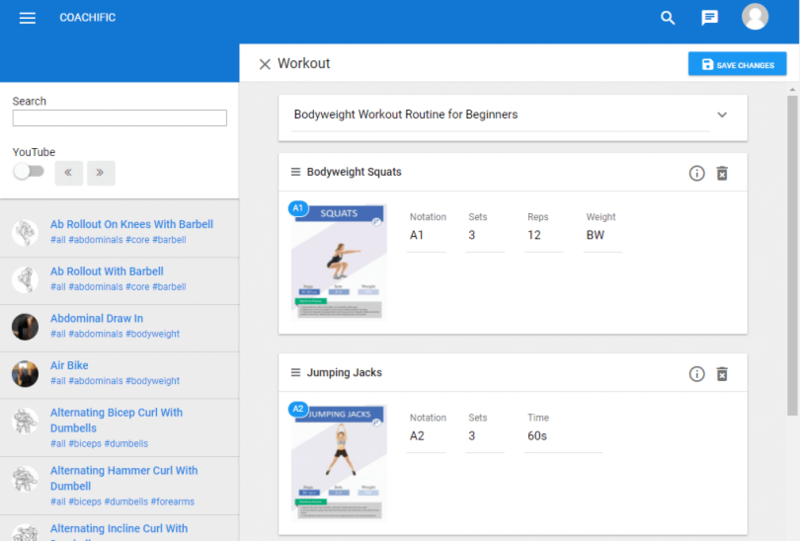 Library – Coachific offers a vast library base of exercises along with a few samples of done for you workout templates, but most definitely you will want to build your own workouts. 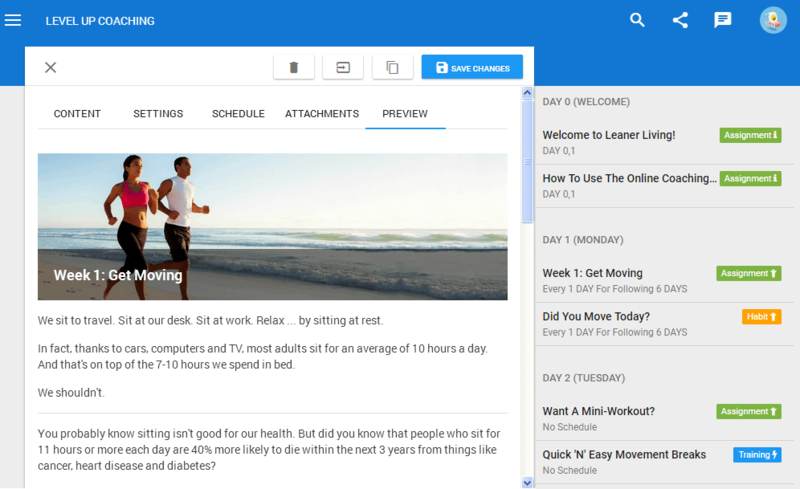 There’s also an exciting addition in the library called “scripts,” it’s where you store your coaching templates, and answers to most FAQ's that you are getting from your clients. I found that something like this speeds up coaching and helps you deal with the same old problems in a better way. Coaches – You can add as many coaches or different physical locations as you like, free of charge and with your own custom branding. Messages – I’ve maybe skipped this part in previous software’s since everyone has it, but Coachific really has a messaging system worth mentioning! It's a clean interface with notification reminders delivered straight into your email so that you won’t miss anytime your client responds. 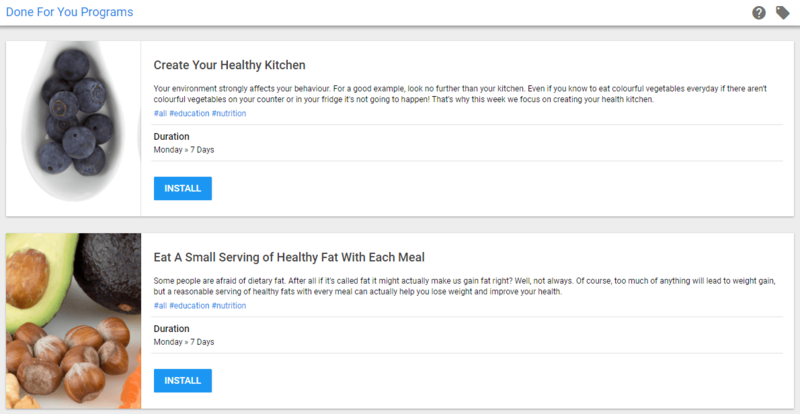 Measurements – They’ve covered all, from progress photos, girth measurements, to macro splits and MyFitnessPal integration so that you can offer both habit-based and macronutrient focused coaching. This is the part that Coachific needs significant improvement for both coaches and clients end. "Done-for-you programs" are more like "done-for-you-templates," and you will have to build your workout programs, and their delivery is not the greatest. You’ll need to have a lot of patience, and many page refreshes, something I didn’t find enjoyable at all. They use a web browser (no app), but even comparing with others software’s that use the same method, Coachific fails behind them a lot. It doesn’t look mobile friendly especially on iOS, with some layers and words overlapping each other, new windows popping up for certain things, and it doesn’t run smoothly at all. Coachific offers integration with three different payment providers, Stripe, PayPal and 2checkout, and many add-ons like ActiveCampaign, GetResponse, MailChimp, and a few others. With everything mentioned above, Coachific brings many options to the table. They have three options, depending on the number of clients. 51-100 clients, 4 USD per client / per month. They offer 14 days trial, no credit card required. Not great. Both coaches and clients will need time and patience while learning how things work. The big downfall of this software is poor management and bad visuals when you are on a mobile device. It doesn’t run smooth, so it might become a problem when you are logging in each day. 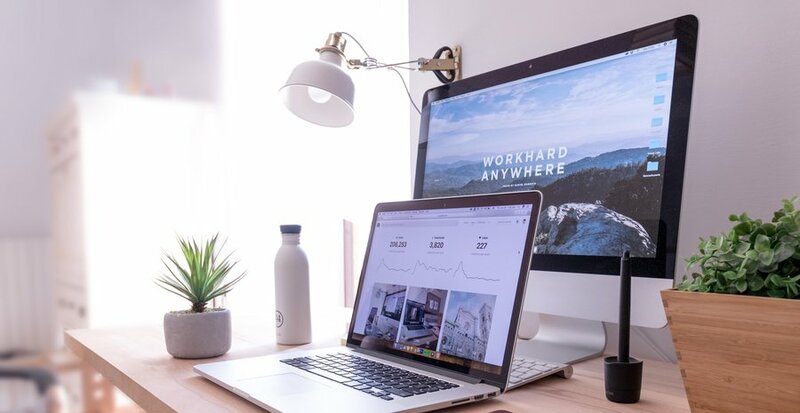 If you are managing your clients from a desktop computer, you will have a clear interface and dashboard that you can work with. 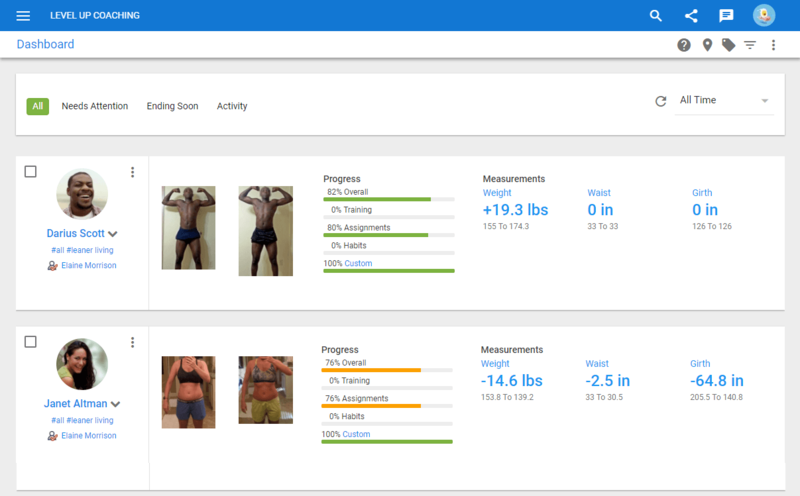 It’s easy to check your client’s progress, or any updated measurements and data. You can also open your client's profile and see precisely what they are seeing. However, any client management from a phone will require more time than usual, and it looks inferior on iOS compared to other software’s. Coachific has a top spot when it comes to the number of features and integrations but doesn’t run smoothly at all. Even though I do all my work from a desktop computer, I know my clients are using a phone for this stuff, and Coachific doesn’t deliver it the way it should. It’s not mobile friendly, so it doesn’t give that “quality” impression that I want my clients to have. This software has much potential, and it looks to me like they know what coaches need (what type of integrations, features, onboarding process and documentation, different coaching options and business section) but it also looks like an unfinished product. I know many coaches don’t like the 'paying per client' packages, due to the popular “free challenge” marketing campaigns going on, but in Coachific you will find few features free of charge, that are usually upgrade or upsell on different software’s (like exercise and add more coaches and locations section). However, even with that, you can’t help but take notice that 20 clients will cost you 160 USD per month, which is significantly higher than other reviewed software’s. Still, I know I’ll keep a close look at this for the future, as they continue developing and improving their product. At some point, it might be worth the money.